In the sleepy coastal town of Sandpoint, evil is brewing. An attack by crazed goblins during the annual Swallowtail Festival quickly turns into something more ominous as the shadows of a dark past come back to haunt the town—and perhaps all of Varisia. Can the heroes stop the awakening of a legendary runelord and keep him from reclaiming his lost kingdom of greed? The Rise of the Runelords Adventure Path begins with a goblin attack and takes players on an epic journey through the land of Varisia as they track a cult of serial killers, fight depraved backwoods ogres, stop an advancing army of stone giants, delve deep into ancient dungeons to reclaim weapons of unbelievable power, and finally go up against an all-powerful wizard-king in his ancient mountaintop city. 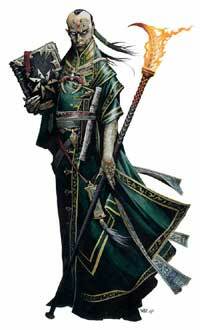 Pathfinder Adventure Path is the premiere monthly resource for your fantasy roleplaying campaign. Every month, the Pathfinder Adventure Path brings you a new installment of a 6-part series of interconnected quests that together create a fully developed plot of sweeping scale and epic challenges. In each volume of the Pathfinder Adventure Path, you'll meet nuanced characters, visit fantastical locations, face deadly foes, and learn ever more about nefarious plots and an incredible world forged by some of the most popular authors and artists in fantasy gaming. What's more, each Adventure Path also comes complete with new monsters, detailed supplementary chapters on important topics and locations, and fiction in the Pathfinder's Journal—everything you need to make your campaign rich, detailed, and engaging. (1 of 6): Goblins and the shadowy specter of a murderous past descend to plague the sleepy coastal town of Sandpoint. Also includes a detailed gazetteer of Sandpoint, a history of the corrupt empire of Thassilon, and a stage-setting overview of the Pathfinder Society adventuring guild. (2 of 6): An investigation of the Lost Coast's most notorious haunted mansion sets the heroes on the trail of a cult of serial murderers called the Skinsaw Men—a trail which leads all the way to the bustling city of Magnimar. Also includes details on Magnimar, the City of Monuments; an overview of the church of Desna, goddess of dreams; and the first installment in the Eando Kline Pathfinder's Journal. (3 of 6): A desperate cry for help from the rangers of Fort Rannick leads the heroes to the revolting den of a degenerate ogre family, a dam in peril, and a fey-haunted wood. Also includes rules for running a keep, an extensive gazetteer of Varisia, and Eando Kline's adventures in the corrupt city of Kaer Maga. (4 of 6): The stone giants are on the march, and they're headed straight for Sandpoint! Can the heroes invade the black-towered fortress of Jorgenfist and figure out what ancient force is guiding them before it's too late? Also includes ecological primers on stone giants and dragons, as well as Eando Kline's introduction to Korvosa's seedy underbelly. (5 of 6): The rise of an ancient killer leads the heroes to a dragon's lair and an arcane dungeon ruled by ageless wizards, where the seven deadly sins reign supreme. Also includes arcane secrets of the runelords, an overview of the cult of Lamashtu, and Eando Kline's infiltration of a Red Mantis lair in the Pathfinder's Journal. (6 of 6): Karzoug, Runelord of Greed, has risen in the ancient mountain city of Xin-Shalast, and only the heroes can defeat him in this strange realm where the boundaries between reality and nightmare grow thin. Also includes full details on Karzoug, expanded rules for adventuring at high altitudes, and the sacrifice of a friend in the Pathfinder's Journal.